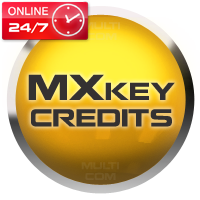 Activation MXKEY DCT4+ UNLIMITED it's based right now on credit system. TO be able to unlimited unlock of DCT4++ phones customer need to have 100 pcs of DCT4 credits. Our service allows to add those 100 credits to your account so you can unlock Nokia DCT4 Plus ASIC 11 (Nokia 1202, 1661, 1662, 2760, 5030). No more waiting for updates, this solution will allow you to unlock ALL DCT4 Plus ASIC 11 type phones regardless of the firmware version (including future). 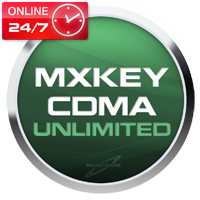 This MXKEY activation will also allow you to lock the phone to any MCC/MNC. 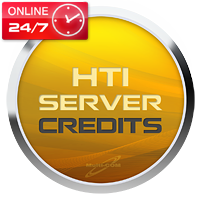 HTI Server Credits are meant for Nokia SL3 cell phones Unlock and unlock and check IMEI for iPhone/iPad with MXBOX Green or MXBOX Orange HTI interfaces. MX-KEY CDMA credits allows to upload special CDMA credits to your MxKey account that allows you to work with CDMA phones such as Huawei, ZTE, LG, Haier. Activaiton are one time and unlimited. After you can make such operations as flashing, flash read/backup, memory Dump, NVM backup/restore, EFS explorer/backup/restore, unlock, MEID read/write and ESN read/write. MXKEY BB5 UNLIMITED it's based right now on credit system and allows to make unlimited SD repair, NCK generation, simlock RPL for BB5 phones. Overally to be able to unlimited unlock of BB5 phones customer need to have 100 pcs of BB5 credits. Our service allows to add those 50/100 credits to your account so you can repair SD BB5, Super SD auth BB5, nck calculation and repair simlock rpl BB5 without any limits. MXKEY CDMA UNLIMITED it's based right now on one time fee system and allows to add support for CDMA phones as Huawei, ZTE, LG, Haier. After you can make such operations as flashing, flash read/backup, memory Dump, NVM backup/restore, EFS explorer/backup/restore, unlock, MEID read/write and ESN read/write. 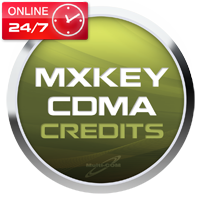 MxKey credits allows to upload credits to your account based on MxKey SN. By using credits you can upload credits to your dongle as well as activate unlimited features for such operations as epair SD BB5, repair sp-lock dct4plus, repair SD BB5, nck calculation. 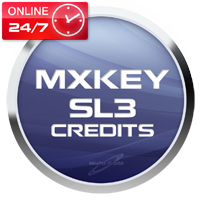 MXKEY SL3 credits it's special credits that allows to make unlimited unlock of SL3 phones using your PC as a server for code generation. Overally to be able to unlimited unlock of SL3 BB5 phones customer need to special SL3 credits. Our service allows to add those credits to your account so you can unlocking without any limits. 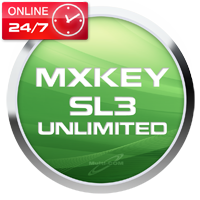 MXKEY SL3 UNLIMITED activation it's based right now on credit system and allows to make unlimited unlock of SL3 phones using your PC as a server for code generation. Overally to be able to unlimited unlock of SL3 BB5 phones customer need to have 100 pcs of special SL3 credits. Our service allows to add those 100 credits to your account so you can unlocking without any limits.